The majority of smokers acknowledge the harmful effects of smoking. But unfortunately, giving up smoking is easier said than done. There are plenty of products on the market to help smokers kick the habit, such as nicotine gum, the patch, and even prescription medication. And while these products have a high success rate, they don’t work for everyone. 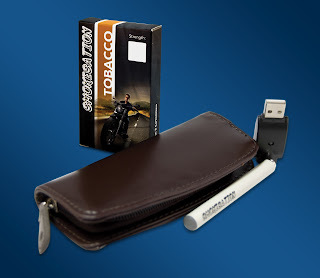 If you’re addicted to smoking and you can’t seem to break the habit, perhaps you need an electronic cigarette. An electronic cigarette looks like a real cigarette, and there is nicotine inside these cigarettes. However, these cigarettes do not include tobacco or many other harmful substances that are present in real cigarettes. Quitting cold-turkey is challenging and many smokers have to slowly wean themselves off the nicotine. Since it can take weeks or months to break nicotine addiction, simply cutting back on real cigarettes isn’t enough. You are still exposed to tobacco and other substances on a daily basis. With an electronic cigarette, you can gradually cut back on your number of cigarettes minus the tobacco. It’s a safe and cost-effective way to quit smoking.